[As] fragrance in flower, oil in sesame seeds, fire in wood (araNi wood), ghee (fat) in milk, sugar in sugarcane, so see the Supreme Divine in the body by the power of discrimination. In this self-obvious shloka from chANakya, we see a way of guestimating the Divine. The one that is by definition beyond perception, is hinted here. We can't see the fragrance of the flower, but can smell it. Similarly, we can't see the divine, but can see its effects. The oil of the seeds is not obvious till you press them very hard. The fire in wood is a very popular way of indicating the divine in us. This refers specially to the fire-sticks, called araNi wood, which when rubbed vigorously produce fire. This is how it is still done in 'real' camp trips! The ghee or fat in milk is also not obvious till you boil it and churn it. The sugar crystals we eat or the brown sugar (jaggery or guDa in India) is not so obviously in the sugar cane until we squeeze it out and process it. Similarly, the Divine exists in us, enabling us to do all the things we do so effortlessly like breathing, thinking, or expressing ourselves through art or making new discoveries through science. This seems to be a later copy of the original. This discrimination is the discriminating faculty to realize the good from bad, truth from untruth etc. nice blog..thanks for very good information.. The funny thing is that you can smell the fragrance of a flower (the smelling sense of perception), you physically squeeze oil from sesame seed (which is an oil seed), you create fire by rubbing two pieces of wood (which requires a certain degree of skill to make the tool for producing fire, milk has to be processed in a particular way to obtain milk-fat and You have to physically squeeze sugar cane to extract its juice which when concentrated by heating produces jaggery. All these are hard, physical, processes. It is difficult to compare these with the discernment (vivek) the author urges you to apply to "see" the Atman residing in the body. 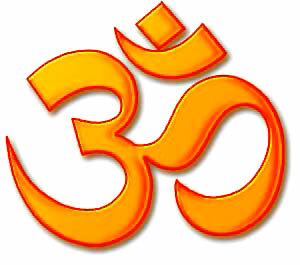 Atman here may simply mean "your own self" which does not have to be interpreted as supreme divine. The shloka is practical advise for knowing yourself through discernment based on practical experience. The 'your own self' is nothing but the spark of the Divine Self. AtmA is interchangeably used (contextually though) to mean the spark or the source. As for "see the self", I made a literal translation to get a feel of what is said in the original, the flavor of the tone of the original. It may be better translated as "Behold". All others are 'physical' activities, because that is easier to understand the non-physical concept. The comparison to discernment is this. The Atman can not be seen or smelled or squeezed in the same physical sense. It has to discerned. These are analogies, metaphors, examples given to hint to the subtler principle. The comparisons with other things where a lot of hard work is to be performed (apart from the flower's fragrance) is again emphasizing the fact that just like the sugar is in the cane and difficult to believe, but once extracted through lot of effort, so is the Atman in the body, all along, but it takes some effort of 'knowledge' to realize it. I agree with both of you but I will say it the best that I can. Yes we all have It or we would not be or could not be. None of us knew we had or were Atman as we do when we are on the other side, preparing by the Law of Return (Necessity for some) to do it again, until we have "paid the very last farthing" or debt. We know ourselves then. To come here is to forget we are THAT. To live and suffer in the realm of suffering is to finally remember we are That. When we can say I am That[,] I Am, the Divine Fire has become ablaze within us and we can watch that Divine flame at times of revelation. We are babies (ignorant of Atman) at first. We know we are (individuality), unless we are born for some karmic (good or bad) reason with non-functioning brains. However, we don't know yet that we are That. So long as we are asleep, that is, in worldly and not divine pursuit of things, we cannot so readily sense there is something watching us; when we do become aware that someone is watching us, we begin to watch it for it - we Meditate. When we are able to see It, an Eye, within, It is fully awake and will allow us to see It with its Eyes - and ours - wide open (conscious), that is, your Divine Self. It's a Divine meeting of Self, our very own Self. Then our "eyes are open" because the Sleeper is not in meditation within us anymore, but is now looking through our very own eyes, and I mean literally there is a Divinity that looks through our eyes when the "twain shall become one," and lets us get a glimpse. Just a look is enough to last an eternity - you never forget. The Open Eye is open for forever, the Atman being Indestructible. That is why I do not believe that I can be saved and lost again (in this lifetime or any other life) by some feeble god who is not able to save and keep someone saved, which is what some Christian friends I know heartily believe. I fully accept Jesus Christ's promises in his ability to keep St. John 3:16; 10; 17, etc., intact forever. I understand what Edgar Cayce means when he says "lose in soul development" and not loss of a soul that has been saved. This does not contradict the Master, it upholds his promises. No matter what Jesus Christ says to the contrary, they still cannot accept that they can never be lost again, but they admit that there is no way they know of to be saved again. I love them dearly, but I love Jesus more than life itself. I left them to their own thoughts because his are not good enough for them. This is what some types of Christianity teaches. Yet it will not accept the fact of the Law of Return. If the Doors of the Church are open, then the Eye of the One is open in some human bodies and latent in others - the Atman came here hidden deeply within us. That Eye did not have time to open in a few score years, since we are older than we can count. Peace be with us. Sir, since you have given a choice, I prefer to remain anonymous. I think you are reading into the shloka what the author may not have intended. 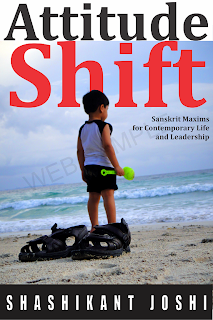 Arya Chanakya (it is not certain that all that goes in his name is indeed authored by one person called Chanakya; be that as it may, it is an irrelevant point) was a practical person just as the title of your web page suggests that you are. The shloka offers remarkable advise to understand thyself through empirical (practical) means easy to discern from our daily life. Atman is merely the self residing in every human body which each person has to recognise and understand. What is divine about it? If there was any such thing intended by the author, he would have said so. Instead he has chosen to taken very earthly examples to illustrate discernment. I am not aware what other things he has said preceeding the shloka and proceeding from it. Having said that, I find your effort laudable for reviving interest in the Sanskrit language, correct understanding of which is necessary to lift the shroud of mysticism people attach to the literature in that language and its social relevance to its our own times. You say - "Atman is merely the self residing in every human body which each person has to recognise and understand. What is divine about it?" Well, if you hold the view that there is nothing divine about AtmA, then what else is there to say. If you personally want to take only the material aspects of the message (even though AtmA by no means or opinions is ever considered material), that is fine. But, you may not be right in saying that there is no spiritual message intended or possible. 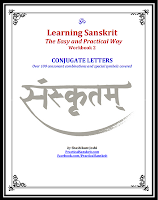 Remember that Sanskrit is a multi-meaning language, most early Sanskrit works were composed by 'kavi' - seers, and hence multiple layers of meaning were common place. Shri Shashi, I see the difficulty of staying anonymous. One can respond refring to date and time to differentiate if there are more than two anonymous individuals. I appreciate that a piece of writing can evoke different responses in different persons. The exposition of the Gita by Sant Dnyaneshwar or Lokmanya Tilak's exposition of the Gita is several times the size of the Bhagwadgita, that wonderful addition to the Mahabharata done in the historical times. Both interpretations vastly differ from each other. Double entendres can be amusing but when used frequently, can lead to a lot of ambiguity which may harm a communication. By calling the composers of our historical literature puts them on a pedestal and there is the risk of us committing what is is a fallacy called "argumentum ad vericundum". My original response was not intended to criticise you but only to caution myself to keep my feet on the ground. I wonder about the Atman because if Atman were divine it must be the same for all humans irrespective of caste, class, creed or religion. Then why is there so much poverty, injustice, terrorism in the world? But this may not be the place to argue about these matters. Please keep up the good work. Your line - "I wonder about the Atman because if Atman were divine it must be the same for all humans irrespective of caste, class, creed or religion. Then why is there so much poverty, injustice, terrorism in the world?" is a classic argument given by many to argue against any divine entity. Mostly the problem comes from the interpretations people give to the 'divine'. E.g. in Christianity it is an angry old man, a vengeful god (as per Bible). And then reconciling with what we see becomes an issue. But think of this with another example. All water (excluding heavy water) is H2O, but you have water in ocean, river, ponds, puddles, sewer etc. Not all are same. Why does one suffer and another not? There comes the theory of karma. And also of just the probability. Different souls (AtmA, life force) get different bodies. Why? We may never know. But just like Big Bang is a speculation (how could all the billion light years of universe fit in 10^-27 meters?) so is the theory of karma, prArabdha etc are given to explain the past. It does explain that in future you will get based on your karma. Anyway, Atman is used interchangeably with the supreme divine and the individual AtmA, since they are the same, except for the volume/size/quantity. Qualitatively they are the same. People with dvaita, advaita etc will keep arguing. It is up to you what seems most logical to you. The spiritual questions are not trivial or simple, when one starts to analyze them. Just like the astronomers and physicists are going crazy with all the data but no definite answer, so is the true spiritual quest complex.